Systematize your store operations to boost productivity, strengthen communication, and increase accountability. Create checklists with custom tasks for routine procedures like closing duties, cleaning schedules, etc. Schedule recurring checklists to remind employees to complete tasks at specific times. Log and track maintenance requests and other critical business issues. Assign tasks to employees to ensure tasks are regularly completed. 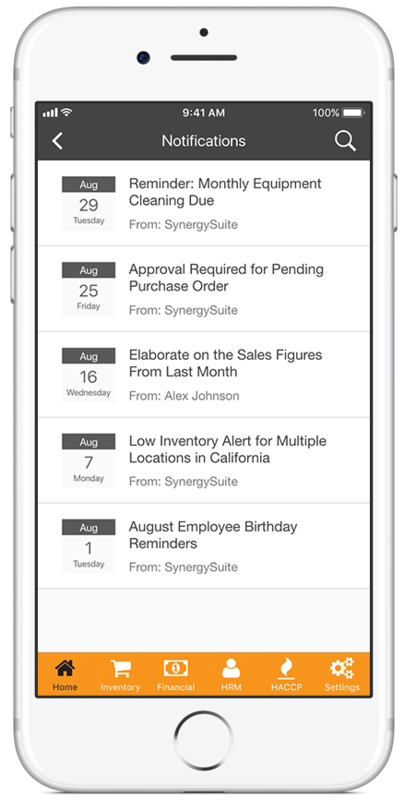 Automatically notify employees of tasks with upcoming deadlines. Verify that each store has completed key tasks and is operating consistently. Notify management when key tasks are not completed to immediately address the issue. Managers can record notes on each shift such as tardiness, customer complaints, staff incidents, guest counts, etc. Instantly share notes with regional managers to identify best practices. Modern interface designed for mobile devices that’s intuitive and easy-to-use. Cloud-based platform accessible from the web with native apps for iOS and Android. 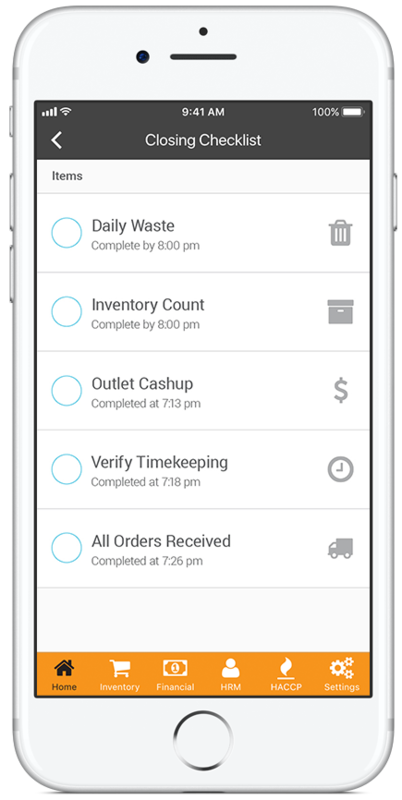 Seamlessly integrates with your existing POS, accounting, payroll, and vendor systems. Completely customizable – each user has the appropriate level of access based on job function. See how SynergySuite increases your staff productivity with automatic timesheets and payroll integration. Schedule a live demo to explore how SynergySuite can help grow your business. Enter a few details about your business to see how much you can save using SynergySuite. Thanks for subscribing to the SynergySuite newsletter.